Our Camino Walk and Coach tour is ideal for Camino beginners, a perfect introduction to the uniqueness of the Way of St James. 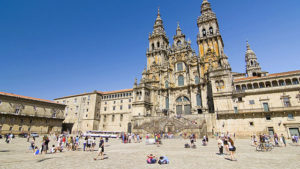 You will enjoy all the comforts of our coach tours while experiencing the atmosphere, scenery and history of the Camino Frances route from Pamplona to Santiago de Compostela. Each day includes an easy 1 and a half to 2-hour walk in some of the most scenic regions of the Camino de Santiago. On this Camino guided tour we will wander on and off the Camino and visit must-see places on the route but also in areas nearby, experiencing the best of both worlds: walking and sightseeing. 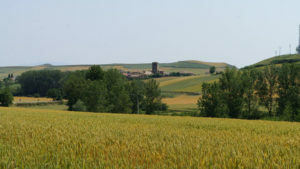 The Camino Walk and Coach tour runs over 8 days/7 nights with dinner each night and lunch on your activity days. All our guided tours include English speaking guides. If you require more information on this or any of our trips, please don’t hesitate to contact our team at info@caminoways.com. Click below to create your trip. Today you will arrive in Pamplona, famous for its running of the bulls. The group will meet the guide at the hotel 7pm for a welcome briefing, followed by dinner around 8pm. Let us know if you need to check in at a later time. Today the group will travel to Alto del Perdon for the start of your walk, here you will enjoy spectacular views of Pamplona and Puente de la Reina. You will then walk 10kms along the Camino Frances trail into the town of Puente de la Reina. The group will enjoy lunch together at Jakue, before arriving in Puente de la Reina town where you will have time to explore. This charming medieval town has a variety of things to see including its iconic Roman bridge and a variety of churches including the Church of Santiago. Interestingly, town is named after the wife of King Sancho. 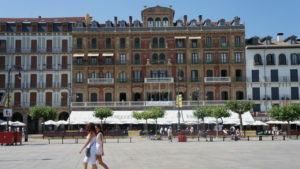 You will then travel to Logrono, where you will have free time in the afternoon befor meeting again for dinner. The town is capital of the Rioja wine region and is a great place to sample the local wine and tapas. There is a whole host of churches and historic landmarks to visit in the pretty historic centre. The group will enjoy dinner together. Today you will be transferred to Ciruena, to walk 8kms across the countryside to the medieval town of Santo Domingo de la Calzada. After the walk, the group will enjoy a well deserved lunch in the town on the banks of the Oja river. After lunch, the group will travel to Burgos city, home to one of the most impressive cathedrals in Spain. We hae scheduled free time in the afternoon so you can have a rest before dinner or explore the historic centre in Burgos. 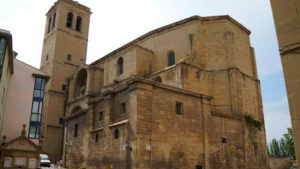 A UNESCO listed site, Burgos Cathedral is also the burial location of El Cid. El Cid was given this nickname by the moors and he repeatedly came out victorious in battles against the Muslim rules and their Christian allies. Today the group willt ravel to Hontanas to start your 9km walk to the village of Castrojeriz, walking a gravel track across the countryside. Once you reach the town of Castrojeriz, you will encounter various monumnets that testify to the glory of its past. 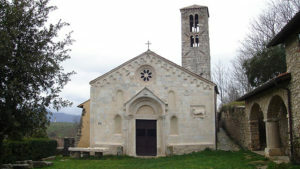 There are several churches and a castle steeped in history. After enjoying lunch together in Castrojeriz, you will travel to Leon, your stop for the night, where you will have some free time to explore. The city of Leon was founded by the Romans and you can admire many monuments such as the city walls, 3kms long and wrapping around the city centre; the stunning Gothic cathedral and Romanesque monuments such as the Church of San Marcelo. There are a variety of bars and places for delicious free tapas in the so called barrio humedo area of the city. The group will then meet again for dinner. 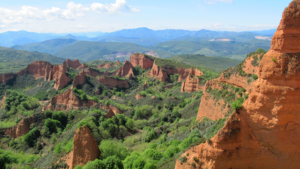 Today the group will travel to the Cruz de Ferro and walk 9km to the village of El Acebo de San Miguel, where you will follow a gravel track and be spoilt with views of the mountains. The group will then have lunch in El Acebo de San Miguel, before travelling to Ponferrada where you will have free time in the afternoon. Ponferrada is one of the classic stops on the Camino Frances. The history and growth of the city is directly linked with the history of the Camino itself, as pilgrims have been passing Ponferrada for many centuries. The group will be visiting the iconic Templars Castle which is a great example of the importance of the Camino in the city. The town and castle were given to the Templars by King Alfonso IX so they would look after pilgrims on their way to Santiago. Also in town, the local Bierzo Museum traces local history, with exhibits including Paleolithic and medieval artifacts. There is also a breathtaking basilica and a 17th century century bell tower on the Renaissance church. The group will meet again in the evening to enjoy dinner together. Today you will be transferred to the picturesque Camino village of O Cebreiro, a very pretty hamlet with ancient stone dwellings and thatched roofs. Today it will be the group first encounter with the wonderful region of Galicia. The mountain village offers stunning views of the mountains and countryside. O Cebreiro was the parish of Elias Valina, the priest behind the revival of the Camino de Santiago in the 1980s, to find out more about his story read here. From O Cebreiro, the group will be walking 8km of the trail and then stop in Samos for lunch, famous for its monastery, which is well worth a visit. 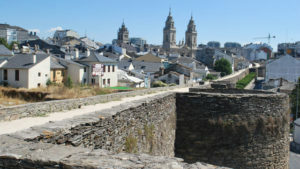 After lunch, the group will travel to the city of Lugo, home to impressive 2km long Roman Walls, which are UNESCO listed, wrapped around the old quarter. The walls reach a height of almost 15 metres and they are unique as they are completely intact. You will have time to enjoy free time to explore the city or go for a stroll on the walls, where you can enjoy great views of the historic centre. There is plenty to do, see and eat in Lugo, famed for its tasty cuisine, as well as its rich Roman heritage. The group will meet again for dinner. On your last day, the group will walk the last stretch of the Camino Frances into the city of Santiago. It is just 5 kms from Monte do Gozo, where you will catch your first glimpse of Santiago. The group should be reaching the famous Praza do Obradoiro and Santiago Cathedral in time to make the pilgrim mass at 12pm*. After lunch you will have free time to explore this fantastic historic city. 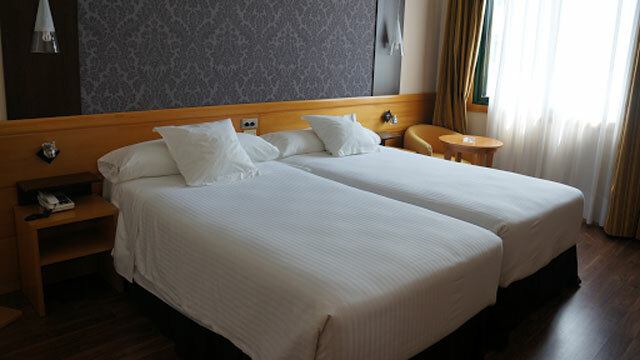 We have booked the group in a lovely 4 star hotel in the city centre. The next morning, you will have a free day or half day to explore Santiago (depending on your flight time). We hope you enjoyed your Camino trip. Bilbao Airport 155km: The Burundesa bus company links Pamplona with Bilbao (2h) with 10 departures a day. It is possible to fly from there with Aerlingus. Santiago de Compostela Airport 11km: There is shuttle bus from Santiago city centre to the airport, departing every 30min. Bus stops are: city centre (Plaza de Galicia), train station (Estación de Ferrocarril) and bus station (Estación de Autobuses). 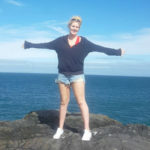 See: www.empresafreire.com. Vigo Airport 90km: From Santiago you can take a train to Vigo Guixar (see www.renfe.com) or a bus to Travesia de Vigo (every hour). You should then take a city bus from Travesia de Vigo to Vigo Airport (every 30 min). A Coruna Airport 70km: From Santiago you can take a train to A Coruña (30 min approximately) and then take a bus from Alfonso Molina (line 4051) to the airport (every 30 min, takes 20 min approximately). Monbus has services from Santiago to A Coruña Airport (every 3 hours), see monbus.es/en for details. Porto Airport 210km: There is a direct bus connection between Santiago (Estación de Autobuses) and Porto airport once or twice a day (taking 4h or 6h resp.). See www.alsa.es. Your booking also includes: Holiday pack and maps, all rooms with private bathroom, knowledgeable friendly English speaking guide, 24/7 support during your trip as well as GPS data files. Breakfast, Lunch and dinner are included each day (No lunch on your final day in Santiago de Compostela). If you requested any extra night at the beginning or at the end of the tour, the dinner will not be included.